In 4.0.4, Bazooka Bar#1 (the minimap bar) isn't staying above the minimap. This is minor (I just set up an extra bar for stuff I want in that area, positioned under the map), so if fixing it could cause other problems to crop up don't worry about it. Edit: Also, 4.0.4 re-packages Grid, which now overlays the chatbox in the lower-left corner for me when I'm in a party (3-man scenario group in my case). Normally, I would fix this by moving the frames, but even with frame lock off and show tab on in Grid settings, I can't see any handle with which to frame, and increasing the border size (which would normally allow me to drag it by the border) also has no effect. Any advice on that? If I can't get that figured out I'm probably gonna disable Grid (I might anyway, for other reasons, but I wanna give it a shot first). 1. Type "/grid" and show the tab and unlock the frames like you have done. 2. Scroll to the Bottom of the Layout tab menu and alter the Layout Anchor and Group Anchor values in the drop down menus to "Top Left". 3. Drag the Tab on the Grid frame to the Top Left. I do not drag a border to do this as I never knew you could do that. I might be a little confused with what you are trying to do. If you want to see the effects of what it would look like in 25 Player raids then change Solo Layout's drop down value from None to "By Group 25" and change the background colour to a solid black and switch from "Horizontal groups" being checked to un-checked over as much as you like to visually see the rectangle. No clue if that helped but I hope you figure it out. About Bazooka, there seems to be issues during the import process of settings for some users and not sure why. Did you move the Mini-map to the bottom of the UI? If so then I think this could be a reason for this effect but no clue why. By default the Bazooka Bar 1 is on the bottom of the Mini-map and not the top but by dragging it to a new position should fix the issue. I cant see the buffs of my Target on the right side ? By default all Buffs on the Target frame should definitely be showing. Check which profile your Shadowed Unit Frames are set to by typing "/suf" and go to the Profiles tab at the top on the General menu. It should be on Default, if not this could be why. If there is a "D" on the chat box big button then you are on the DPS layout which is what you want. If it is not a D then click it (unless you have customized the Layouts). If you unlock the frames on the General Tab you will not see them displayed as they are being filtered. Only buffs/debuffs in the whitelist will show but pretty much every important buff/debuff is there. If you want to get them out of the filter so you can see them in editor mode and for every single debuff/buff in game to show on the target frame (including all useless ones) then go into "Aura Filters > Target and make sure every check box is set to "Don't use a filter". Hope this helps if not let me know. You have to turn auras in SUF on. Type /suf to bring up the SUF options, then look for the target frame, select the tab labled "auras" and check the boxes for buffs (and debuffs if you prefer). After that you can position the auras with the options available (don't forget to turn on the editing mode under General Options to see dummy frames, so you can properly move 'em). Last edited by Sunfire00 : 10-03-14 at 01:02 PM. How do I get the chatbox to the bottom left? Thanks! @weirks yes this worked! Even though I initially deleted those files, the 2nd time was a charm. Same thing happened to me. I just deleted my WTF Folder, Interface folder and font folder added the new Interface and font folders, logged in and everything was in its place. As for the icons under the mini map, well this happens when you add new addons. Bazooka is the one adding them so just /bazooka and go to Plugins then untic Enabled for the new addons you don't want showing up under mini map. Last edited by weirks : 10-02-14 at 06:16 PM. I just downloaded the new MayronUI update today and replaced my files. It looks like it is Bazooka because when I move Bar#1 that entire bar moves to bottom of screen. The profile is set to "MayronUI". I redownloaded and replaced the Bazooka folder in my addons and this did not correct the problem. Looks like you have some sort of Broker Bar addon installed. Something like Titan Bar or somthing similiar? Last edited by sweetdarknes : 10-05-14 at 11:08 AM. - Loot Frames: With Xloot gone is there a ways to move and save the loot folling/winning frames? Or does this need a seperate addon? - The left and bottom bars around the chat frame look like they should meet closer together in the corner (i have the bottom left setup). This seems to impact the left bar along the side and it overlaps when my bnet friends frame when they log in/out. This maybe a scaling/resolution issue (i play at 2560x1440, and the scale set to one notch above the smallest). - The skinning does play nice with Actionator frames. You can see where to place items when selling them. Last edited by Erimesi : 10-01-14 at 09:36 PM. Version 4.0.4 is now available for Download! Note: I took all the feedback into consideration but I will not be putting Class Timers back in this UI pack as I have setup Shadowed Unit Frames Aura system to do the exact same thing by manually adding in each ability to the white list so it shows the right stuff all the time. Class Timers would not transfer settings across correctly and also could not animate by moving properly with the expand and retract animation. I have added Grid back but it does not move like it use to with the Expand/Retract Animation either but I will add that again in future with better performance as I have an idea for a tool to help with this. Bagnon will not be returning but I cannot do everything for everyone who wants something different as this falls into the category of "Personal Preference". Its an incredibly easy AddOn to set it up yourselves. - Moving the chat box to bottom left is way more clunker than before. The old UI you clicked one button and bang its down the bottom. Now you have to create a new layout, set the buttons. Also you have to manually move the chat box. For me after moving it, it will not say in the chatbox outline thing you have. It keeps moving it up every time the UI is reloaded. - No class timers. I know you plan on replacing them but you could have left it in until you did. Wasn't fun trying to align them back the way the old ones were. - Bag addon. Is there going to be a replacement Bagnon? I'm not sure anyone likes having individual bags to open. I installed Bagnon separately but it looks like rubbish, compared to the rest of the UI. Is there a way to skin it like the rest of the UI? Also how do toggle the autosell junk on the bag info broker? Sorry for sounding like a complainer. It's fine about complaining as I respect all feedback I get. 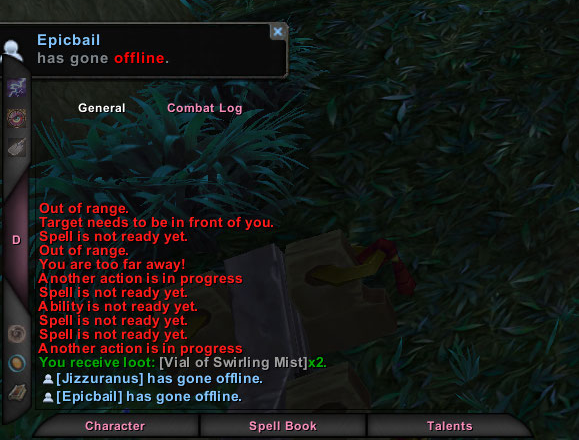 First of all you spotted one bug I was unaware of and that was the Chat box jumping issue. It seems that something is loading wrong which I will need to fix. You should never have to create a new Layout when you move chat boxes though as all the Layout Switch buttons provide the same function on each chat box. By default it only switches the Shadowed Unit Frames. If you want to install Another AddOn then the user can choose if it should be added to a Layout and switch profiles. There is a good reason the chat box does not move automatically: Some users want to have both the Bottom Left Chat box and Top Left because they put their Raid Frames in the Top or Bottom Left in the space where the chat box is meant to go and disable the tab background from showing ("/mui config" and go into Chat Box > Chat Boxes drop down to a chat box you want to alter > Appearance > Tab Background). So it would remove a lot of customization if I forced there to be a Chat Box in the bottom left corner. I could add something to move the chat box and set it up automatically if the Bottom Left chat box is the only one visible however. That should work. EDIT: You can fix the Chat Box moving issue with: Type "/ltp" and go to Chat and check "Unclamp chat frame". That will fix it. Class Timers cannot be moved with the Expand / Retract ability so if you want to have the UI expanded then it would be under the unit frames which I would get more complaints about. I could make it work like MUI Gen3 and have 3 profiles but I hated how that worked because if you customized the lower profile, then when you pressed expand it would go back to default and people would complain about that as well. I made Shadowed Unit Frames Aura buffs/debuffs work in the exact same way as class timers did by manually adding the exact same spells/debuffs in the Aura Filter Whitelist. The only difference what so ever is instead of them being bars they are icons. I do not wish to setup many AddOns which I do not use myself as this UI is suppose to be used for customization and integrated with other AddOns that the user may want to install with it. 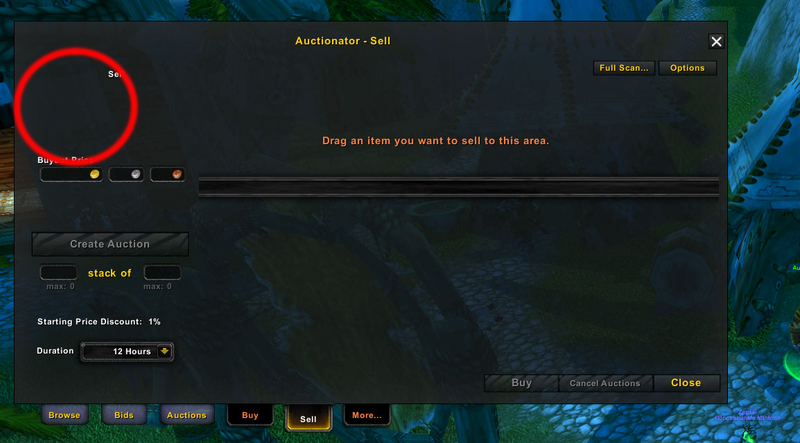 If you type "/ltp" then in Interaction you can un-check "Sell junk automatically". Last edited by Mayron : 10-01-14 at 03:07 AM.